If you’d like a peek at my talk about Pioneer Prophet at the Gaithersburg Book Festival, C-SPAN will be offering live coverage on Book TV. The time is 10:00 a.m. Details here. On Saturday, May 18, I’ll be speaking about Brigham Young at the 2013 Gaithersburg Book Festival. Details here. A pleasant day trip for anyone with an interest in Mormonism or 19th-century U.S. history living in the Baltimore or D.C. areas. 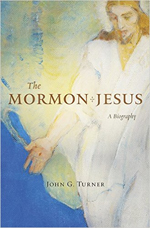 For an interesting comparison of two recent reviews of Pioneer Prophet, both written by Latter-day Saints, see the following: Thomas Alexander’s review in BYU Studies. Craig Foster’s review in the Interpreter: A Journal of Mormon Scripture.